Some manuscripts add verse 21, But this kind of demon won’t leave unless you have prayed and fasted. A man of faith & an onlooker. 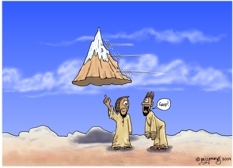 This is a very simple cartoon & another of the early ones. 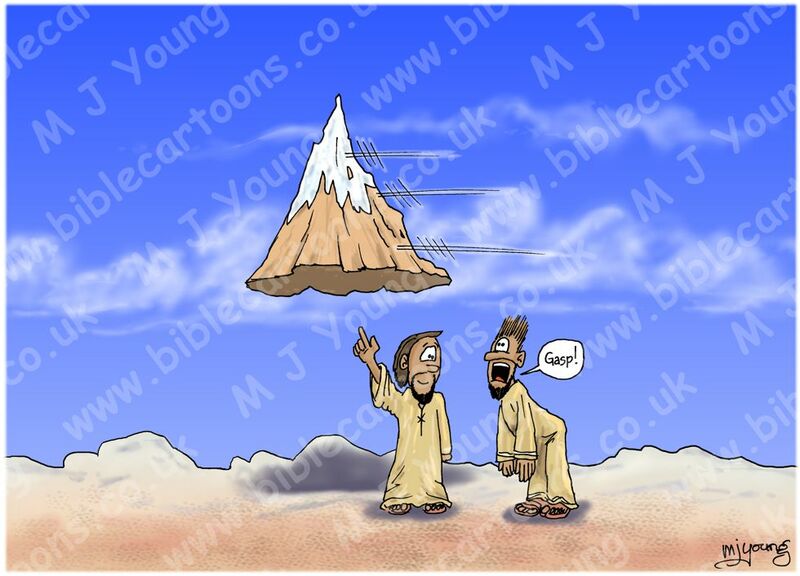 It is a literal version of the story… a man moving a mountain by the power of his faith. the other man, who gasps in amazement is only there to provide counterpoint & humour to the scene.